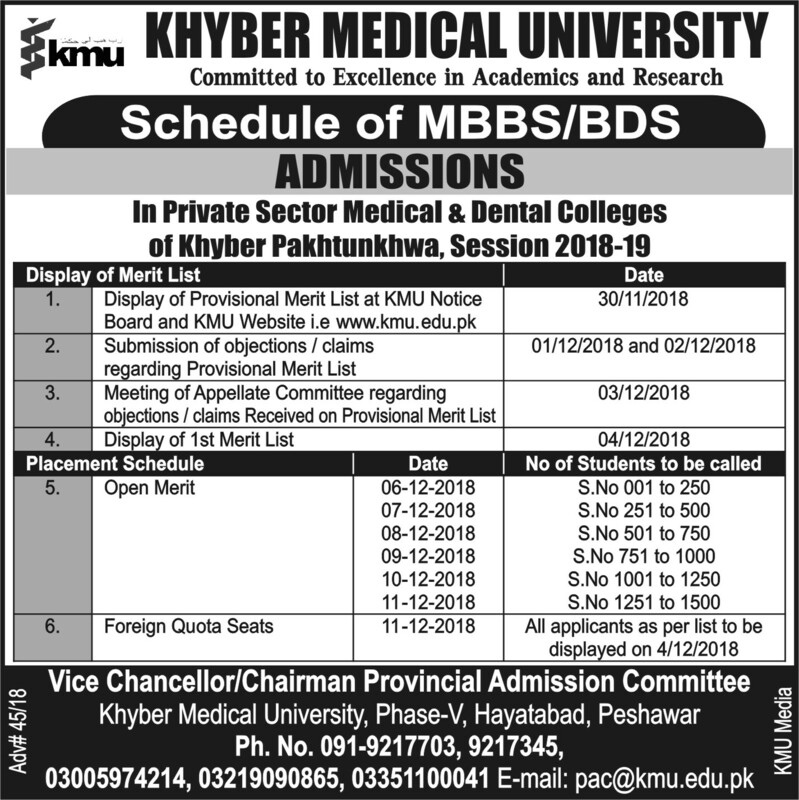 The Syndicate of Khyber Medical University (KMU) Peshawar on the recommendation of the University Selection Board (USB) has gave approval to fill various vacant positions of Professors, Associate Professors, Assistant Professors, Lecturers by appointment and some administration cadre positions through promotion. 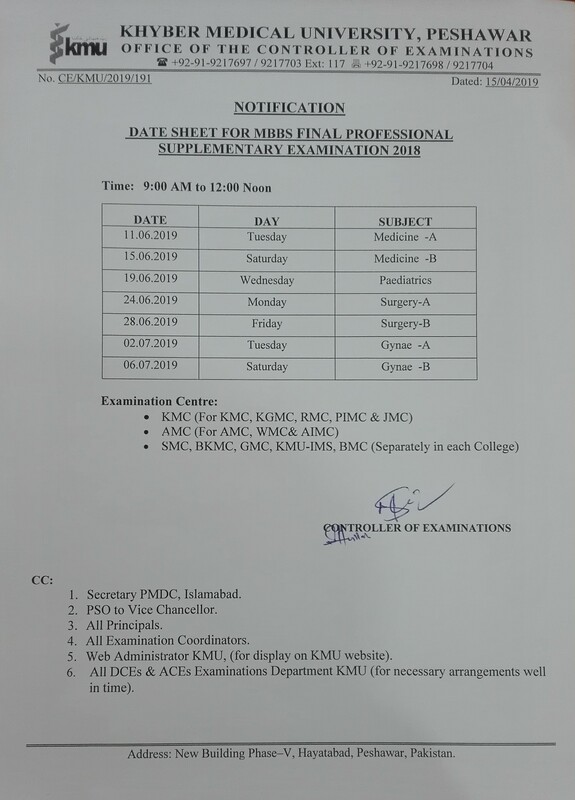 These decisions were taken in the 28th meeting of the KMU Syndicate met under the chairmanship of vice chancellor Prof. Dr. Arshad Javaid, where as beside the other members representative of the secretary of HED, Health, Finance and Establishment also attended the meeting. 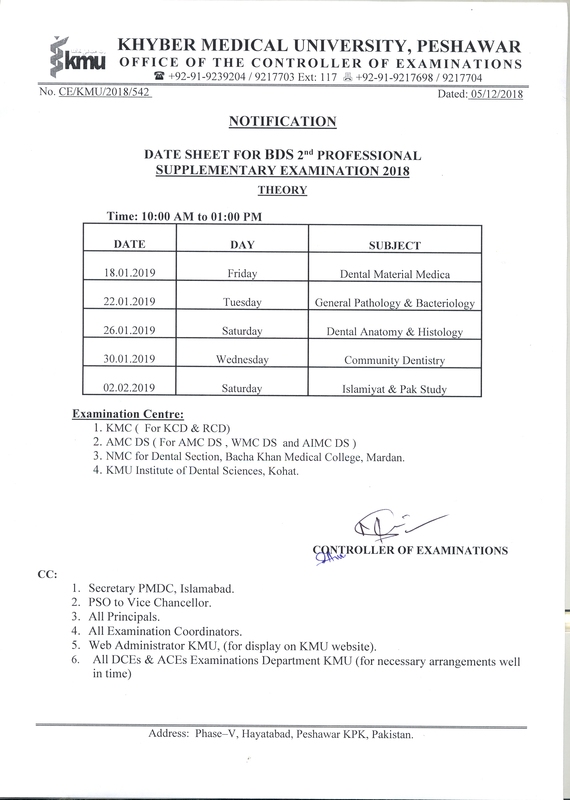 The Syndicate on the recommendation of USB approved appointment of Professor in Oral & Maxillofacial Surgery, Associate Professor Prosthodontics, Associate Professor Oral Medicine, Assistant Professor Oral & Maxillofacial Surgery, Assistant Professor Prosthodontics at KMU Institute of Dental Sciences (KIDS), Kohat, Associate Professor Medicine, Associate Professor in Paeds, Assistant Professor Medicine and Assistant Professor Radiology at KMU Institute of Medical Sciences, Kohat, Professor, Associate Professor, Assistant Professor and Lecturers at Institute of Public Health & Social Sciences. 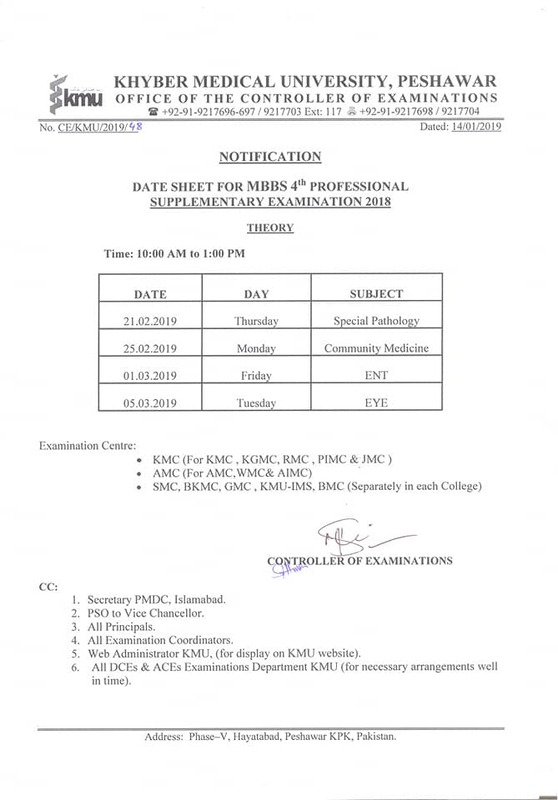 Whereas the Syndicate also gave approval of the promotion of Mr. Nasir Salim Arab from Deputy Controller of Examination BPS-18 to Director P&D BPS-19, Kamran Irshad and Muhammad Farooq from Office Manager BPS-17 to Deputy Registrar BPS-18 and Deputy Controller BPS-18, Usman Iqbal Assistant Treasurer BPS-17 to Deputy Treasurer BPS-18 and Six Office Assistants BPS-16 to Office Manager BPS-17. In the said 28th meeting of Syndicate on the recommendation of Anomaly Committee various amendments in the University Statutes and Service Rules were also recommended to the Senate for final approval. 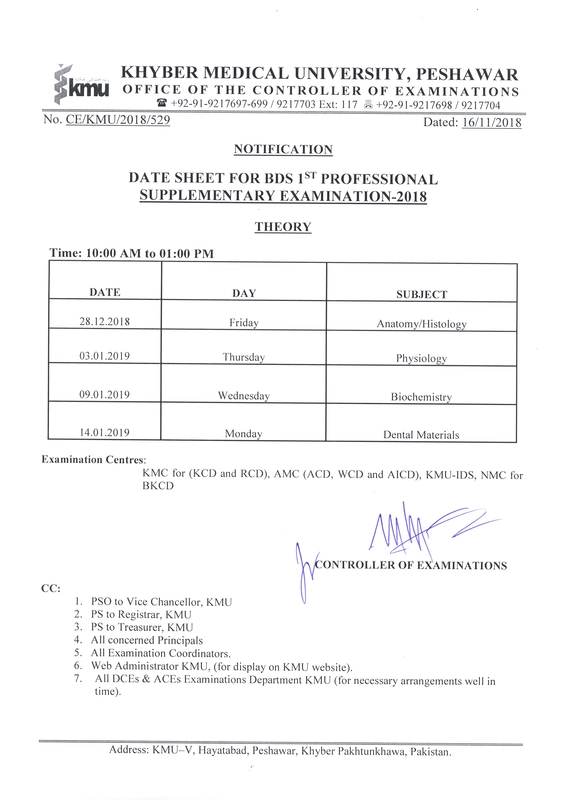 The Syndicate on the recommendation of Affiliation Committee approved enhancement of slots of BS Nursing Post RN from 30 to 40 at Post Graduate College of Nursing Hayatabad, Peshawar. After detailed discussion beside revised budget of 2017-18 the Syndicate also recommended the budget estimates for the fiscal year 2018-19 with receipt of Rs. 1,115.449 million, expenditure of Rs. 1,030.891 million with a surplus of Rs. 84.558 million for onward approval of the Senate. 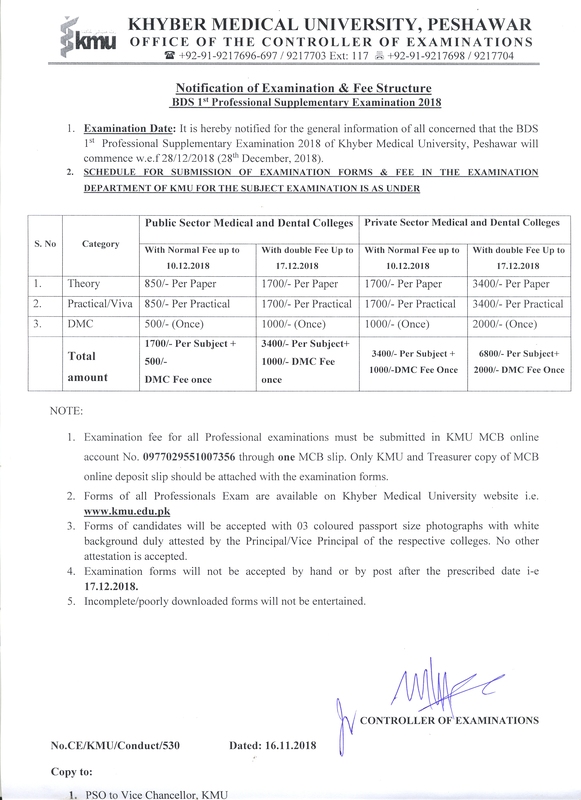 Earlier while talking to the meeting vice chancellor Prof. Dr. Arshad Javaid said with appointment on various vacant positions the long awaited issue of registration of KIDS and KIMS Kohat with PMDC has been resolved. He said KMU has became first university of the country where family medicine diploma program has been launched which will help to cater the need of more than 60,000 family physicians across the country. He said the surplus budget reveals the fact that we at KMU believe not only on smart governance but on financial discipline and this spirit will keep continue in admissions as well as in all appointments to ensure merit and transparency. 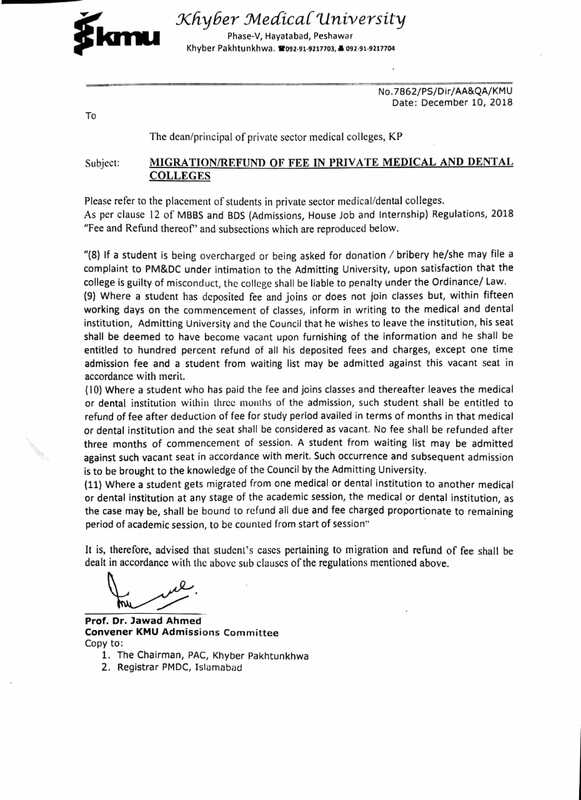 Meanwhile the admin staff of KMU paid rich tribute to the Vice Chancellor for resolving the long delayed issue of promotions of admin staff and they hoped that under the dynamic leadership of Prof. Dr. Arshad Javaid the remaining cases of promotions of officers/officials will also be materialized in due course of time.